Lorlei is part of the production team and helps to ensure all orders go out on time and meet the correct specifications. Lorlei also helps key members of production to ensure all technical requirements are met. Having worked in hospitality and retail for a number years, Lorlei joined Ridgeview in early 2018 to expand her knowledge and interest in English wine. 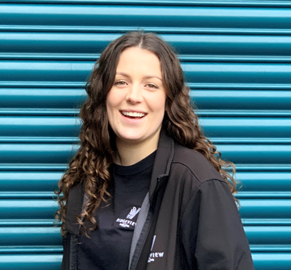 When not at work, Lorlei enjoys going to live music concerts and festivals, as well as touring Brighton with friends and family to find the best burger!